Go on, admit it. At some point in your riding history, you’ve probably fantasised about your bike being able to fly. Any why wouldn’t you? Given the right set of curves, weather, and traffic (or lack there of) it’s probably the closest thing you can get to flying without getting all John Denver with things. And if Hollywood is anything to go by, it’s not just us bikers who dream of going one better than a wheelie, either. But why stop there? Why stop with air? 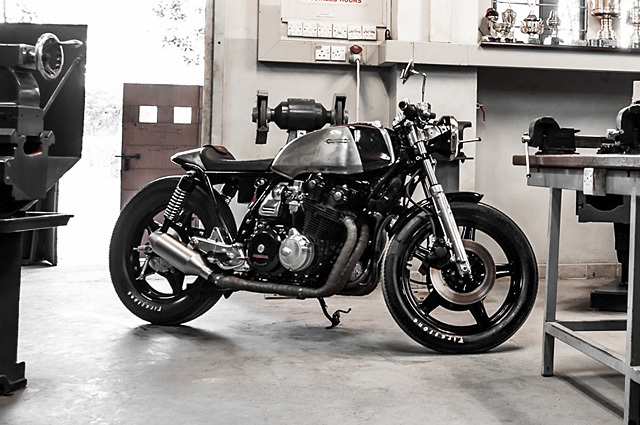 This is exactly what Faisal Malik did when looking for some inspiration for his latest build, this very sleek-looking CB750K. “Christopher Nolan’s ‘Interstellar’ was the main inspiration for me,” says Faisal while speaking to us direct from his Karachi launchpad. 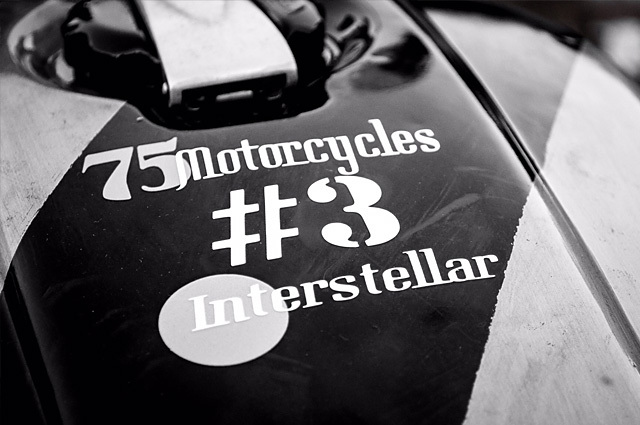 “That, and the bikes coming out of Hookie Co. in Germany.” Faisal was looking to create something which looked like it could not only hop from one country to another, but from one star to another. His hunt for a decent frame and engine started in October, 2014. “A good friend named Anas Khan, who is also an encyclopaedia of motorcycle knowledge, helped me identify a near match. I agreed to his choice but only under one condition; that he himself would supervise the build in terms of quality and performance.” Naturally, he agreed and the project took off from there. “We stripped it down until only the frame was left, and started the long process to build it up again.” The two then selected a workshop – in this case the locally based Zeeshan Motor Services. 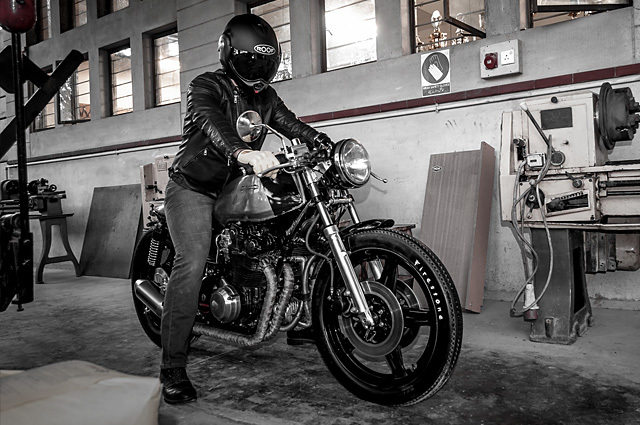 Familiar with Zeehan’s work, they knew he was always ready to take on new challenges and was full to overflowing with passion for custom bikes. 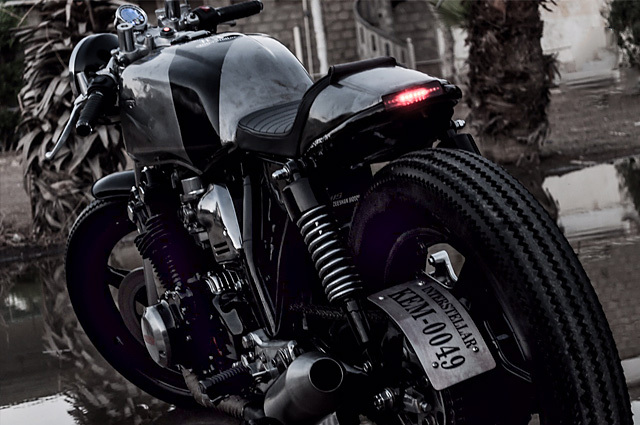 “Anas and Zeeshan got really excited when I discussed my idea about building a café racer. ‘Yes! It’s time for me to build something like that!’ Anas said, after I gave him the brief.” Then, after about 200 hours of solid work and even some dreaded reworks, Faisal finally got what he was wishing for. 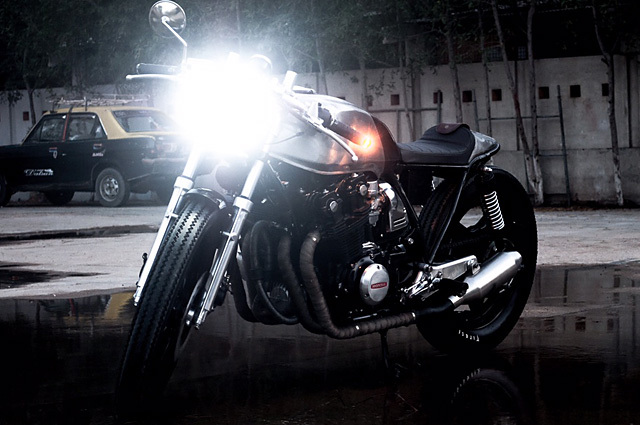 What you see before you is the first custom bike we’ve ever featured from Pakistan, and if the feedback it’s been getting is anything to go by, it’s got quite a few other international fans, too. “It took a lot of research and effort to source the various parts from around the globe. 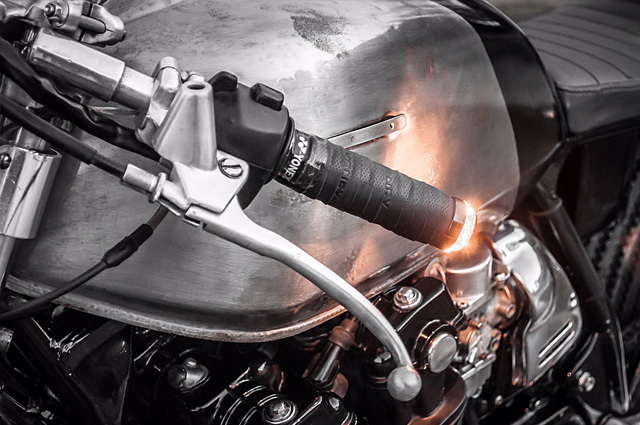 We made no compromises on quality and reliability of the machine, which is in accordance with our guiding principle that “out in space, a rider shouldn’t have to worry about break downs and reliability.” So true – last time we checked there was a distinct lack of breakdown services willing to venture into a 2.7 degree Kelvin vacuum. 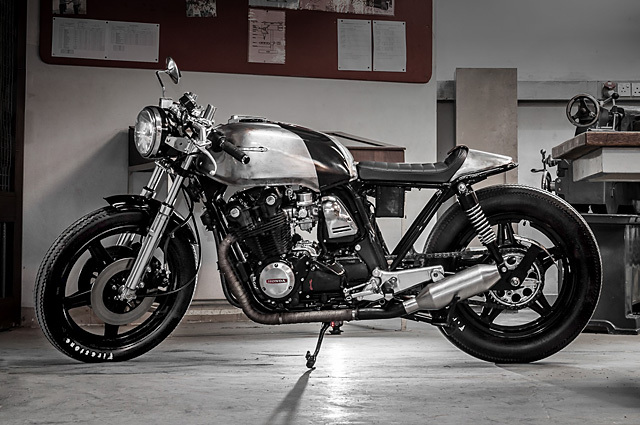 “This is my third transformed café racer and easily the most expensive build. In Pakistan there aren’t many cafe racers around. 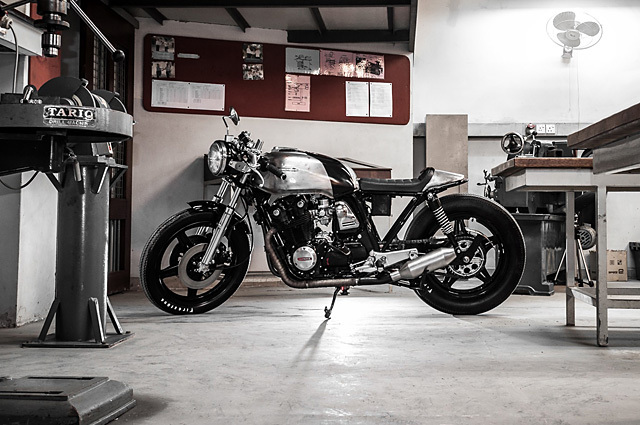 So, apart from my passion, this is also a humble attempt to promote the culture of café racers and customized motorcycles in our country.” Gotta love that.